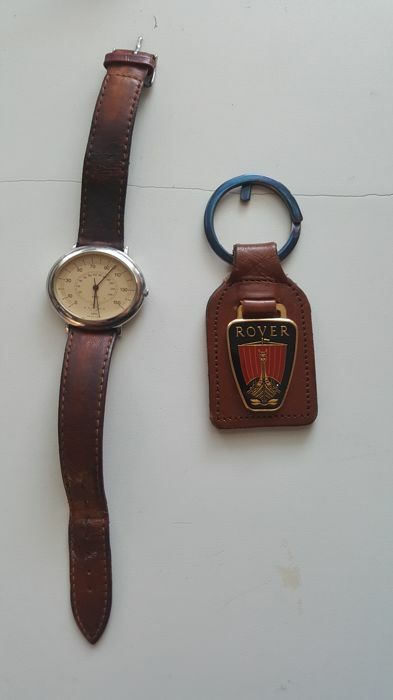 Used men’s wristwatch with odometer of the beautiful Rover. 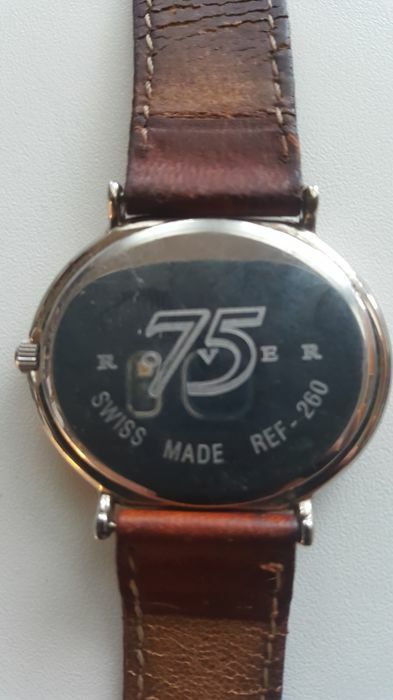 Watch especially made for Rover 75 years, with a Swiss movement. 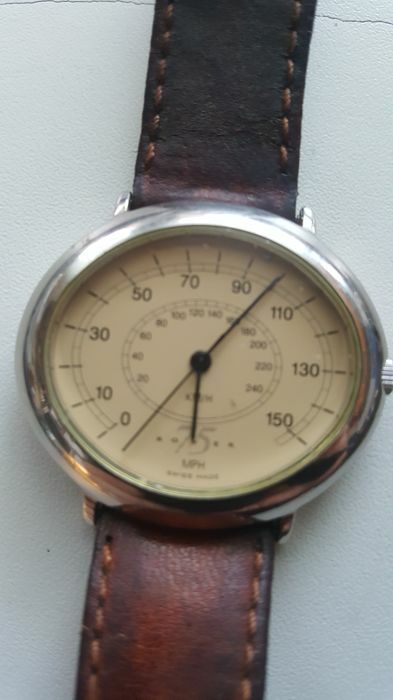 Dial is a speedometer in miles/hour. Rear and cabinet are stainless steel, strap is of calfskin leather. 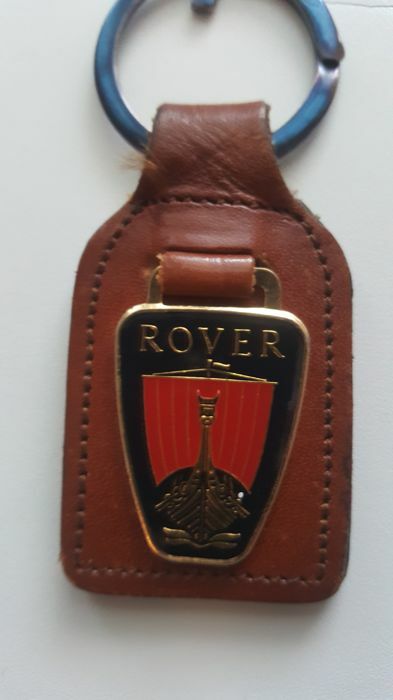 For the lover of the Rover. The keychain is free. Strap length is 24 cm.